The Park Hill North real estate district is enclosed by Colorado Boulevard on the west, with Quebec on the east, from 23rd Avenue north to 52nd street, and shares these boarders with the community of Northeast Park Hill. Park Hill North real estate has always been the most diverse set of communities in the Park Hill area, long symbols of the the classic middle-class neighborhood. Montview Boulevard, developed in 1882, and Monaco Parkway are main thoroughfares in the Park Hill North real estate area, and show the importance of wide, tree-lined neighborhood streets to early developers. Both Park Hill North and Northeast Park Hill are approximately 15 minutes from downtown, and just west of the new Stapleton community development. In the late 1880’s builders began developing the area recognized as North Park Hill real estate, leaving current residents and homebuyers a classic collection of architectural styles which draw the envy of neighboring communities to this day. Contemporary single story ranch style properties tucked in neatly beside the grand multi-level Queen Annes and Tudors, symbols of an era passed. One hundred years later, Park Hill North’s central location, and its beautiful brick homes, awakened a certain appeal in suburbanites, who had moved away from the city decades earlier. The allure of the suburban bedroom community bowed to the 10-minute commute, and Park Hill North neighborhood, and its neighbor, Northeast Park Hill have been the beneficiaries ever since. The Park Hill North real estate district is well known for its diversity, its strong sense of community, its good schools and its expansive stock of well-tended, architecturally diverse homes. 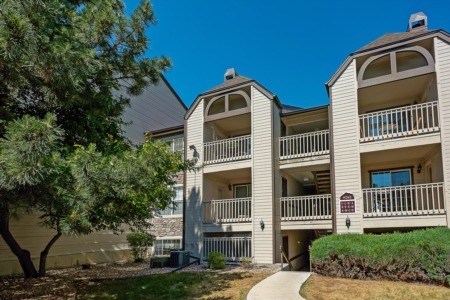 Peppered with small neighborhood shops and well manicured pocket parks, residents of the Park Hill North, and Northeast Park Hill real estate area appreciate quick access to downtown, to Denver International Airport and to the major shopping and commercial centers of east Denver. City Park, Denver's largest central park, and home to the Denver Zoo and the Denver Museum of Natural History stands as a shining example of Park Hill North’s contribution to the beauty of Denver’s urban palette.